Based on the short story ‘Barn Burning’ by author Haruki Murakami, Lee Chang-dong’s 2018 film Burning introduces us to a young man named Jongsu (Ah-in Yoo). He’s an introvert and ostracized more than a little by mainstream society. He doesn’t have many friends and a social life doesn’t come easy for him. Things start looking up for him when he meets a nice young woman named Haemi (Jong-seo Jun) and, to everyone’s surprise, they hit it off. She remembers him from their childhood, even if he doesn’t remember her. She tells him that since having plastic surgery, she’s better looking now. They head back to her apartment and make love and he agrees to feed her cat for her while she’s away on a trip in Africa. It’s not quite all love and hugs, however, as Haemi has also got a relationship with a wealthy socialite type named Ben (Steven Yuen). Jongsu learns this when she comes back from Africa and he meets them both at the airport. She met him there and got to be close to him. However, Ben isn’t what he seems. Soon enough, Jongsu learns that Ben has a bit of a secret – he gets off on burning things, greenhouses specifically. Around the same time that Jongsu learns this, Haemi disappears and Jongsu becomes increasingly roiled by all that is happening around him. 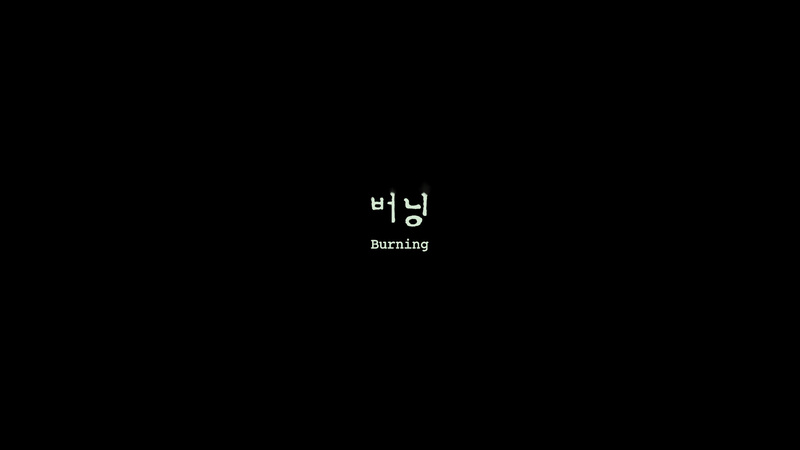 Simultaneously stylish and minimalist at the same time, at least in terms of its visuals, Burning is an interesting and intelligent thriller. 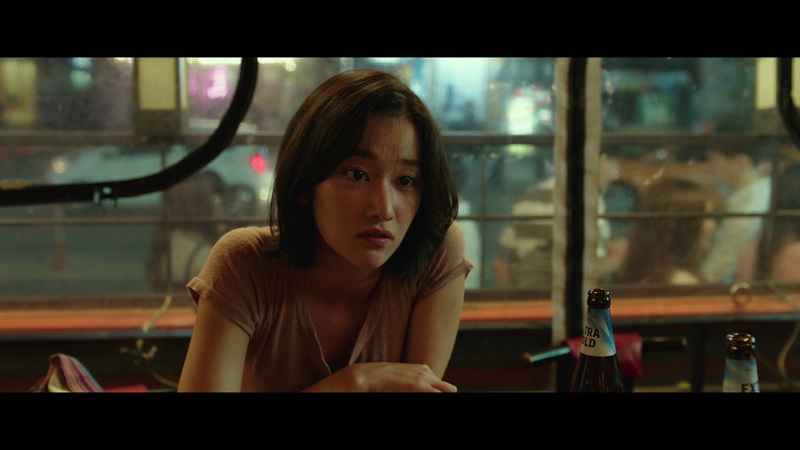 More than just a story of a bizarre love triangle, it sees Lee Chang-dong taking the story in unexpected directions and avoiding the most common clichés that tend to exist around stories of complicated romance and their even more complicated repercussions. The pacing is very deliberate – some may find that a bit frustrating as the movie clocks in at almost an hour and a half – but stick with it, pay attention and ultimately it proves to be quite rewarding, even if the ending is more than a tad ambiguous. This is a film that asks more of its audience than most. Not everything is spelled out, and there are weird little breadcrumbs scattered throughout the picture, some of which turn out to be better, more appreciable clues than others. Still, it’s a very interesting picture and a heady, unusual and unique film worth seeing. The performances are really strong here. Steven Yuen, best known for playing Glenn on AMC’s The Walking Dead, was solid in that show and is just as good here (if not better). He does a good job making his character creepy and appealing at the same time, we see why someone might be interested in him. He has an interesting chemistry with Jong-seo Jun, who makes her feature film debut with this picture. She’s excellent. Attractive, smart, mysterious and alluring she crafts an intriguing character with her performance. Ah-in Yoo, the third piece of the human puzzle, and he’s just as good as the other two. The AVC encoded 2.39.1 widescreen 1080p high definition picture on this disc is excellent. Detail is strong and colors are reproduced beautifully. Black levels are nice and deep throughout the presentation. Generally speaking, the transfer excels in areas of both detail and texture. There are no issues at all with dirt, debris or visual detriments of any kind and the disc is well authored, showing no noise reduction or heavy edge enhancement. Outside of some slight shimmer here and there, the movie looks excellent in high definition. The main audio option on the disc is a Korean language track provided in DTS-HD 5.1 Master Audio with removable subtitles available in English only. The lossless track here is a good one, with a lot of impressive channel separation throughout the movie. The score is spread around perfectly with some nice pans thrown in for dramatic effect while bass response is consistent tight and strong. All in all, this is a nice, well directed mix that does a fine job with the movie. A Korean language Dolby Digital 2.0 Stereo mix is also included. Extras are slim. Aside from a teaser and two different trailers, we get a two-minute featurette that is a quick look at the characters that populate the movie – and that’s it. Menus and chapter stops are included and this release does come packaged with a slipcover. 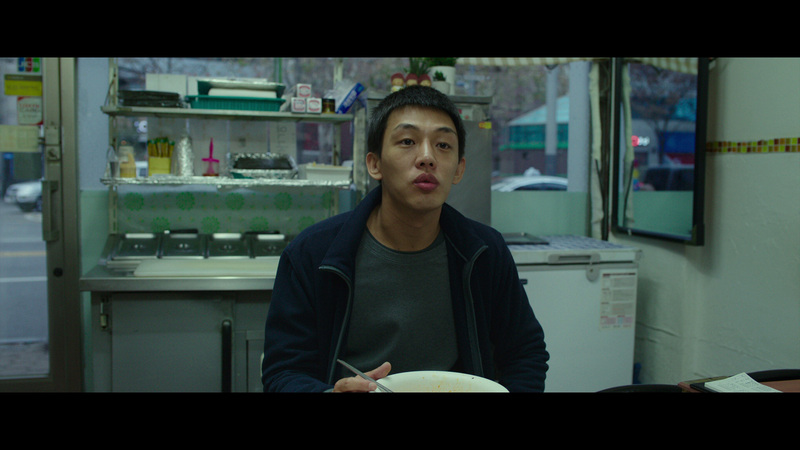 Smart, well-acted and tense, Burning does not fail to impress. Well Go USA’s Blu-ray is light on extras, unfortunately, but the presentation is top notch. This is a film absolutely worth seeing, highly recommended. 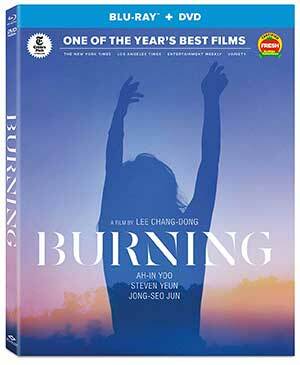 Click on the images below for full sized Burning Blu-ray screen caps!